You are here: Home / Recipe / Keto Chocolate Lava Cake – only 5 ingredients! Keto Chocolate Lava Cake – only 5 ingredients! 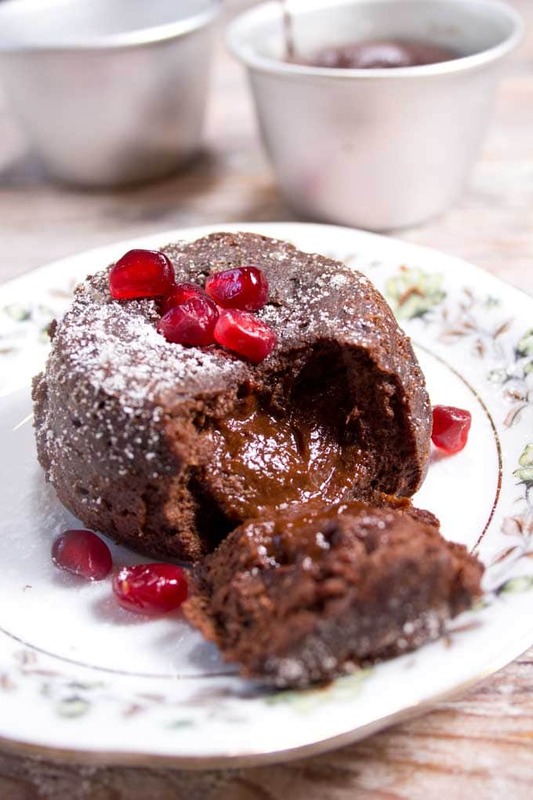 A deliciously decadent low carb chocolate lava cake with a gooey centre. Only 5 ingredients! 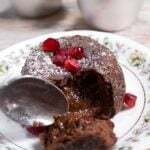 This easy molten chocolate cake is Keto, sugar free and diabetic-friendly. 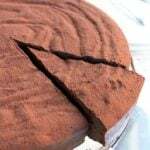 Who doesn’t like a chocolate lave cake? 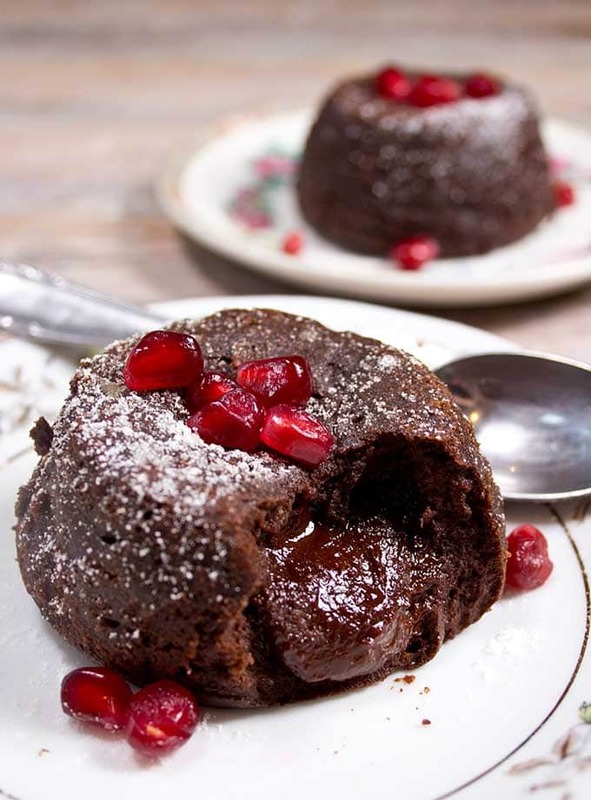 Especially when it’s a totally guilt-free, sugar free low carb chocolate lava cake? This Keto lava cake, to me, is romance in the form of food. Feeling like a bit of romance on your table? Let’s delve right into the nerdy details of Keto lava cake-making. The golden rule? If you’re only using 5 ingredients, make sure you use the best you can! Get the best you can afford, with a high cocoa solids content. 90% is great, or go the whole 9 yards and get 100% unsweetened chocolate. This is a generously sized dessert and if you’re interested in keeping a low carb count, this will make a difference. It will also affect the taste – a cheap choccie full of vegetable oils just won’t make you swoon. I used 100% unsweetened chocolate, so added 3 1/2 tbsp sweetener. If you use 90% chocolate, 2 tbsp sweetener works well. Adjust accordingly if your chocolate already contains sweetener. If you’re in the US, Lily’s sugar free chocolate is always a good option. Organic, grass-fed is what we’re looking for here. 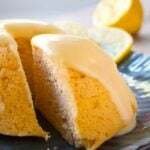 I love the buttery taste of this dessert. But if that’s not your kind of thing, you can sub with virgin coconut oil. This should be super-fine. 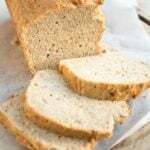 Almond meal or ground almonds are too coarse and will alter the texture (would still work though). Beat them till they’re FLUFFY! Make sure you choose powdered sweetener and not granulated. Stevia drops would work in this recipe too. Definitely taste your batter and adjust the sweetener according to the type of chocolate you’re using. I’ve given my measurements in the notes. As we all have a different perception of what the perfect sweetness is, do whatever rocks your boat here. Not quite an ingredient, but rather essential. Firstly, butter the hell out of it. Otherwise your cake can stick – not a good thing if you’re after the visual wow. But even more importantly, don’t be afraid to take this cake out of the oven when it’s still super-jiggly. It’ll keep on cooking and firming up in the hot ramekin so serve it as soon as you can touch it with your hands to turn it out onto a plate. For me, 9 minutes in the oven was perfect (see above), while 12 minutes yielded a cake that was thoroughly cooked through. If you want to turn your cakes out, grease your ramekins REALLY WELL! If you are only after the taste, there’s no stress – just serve in the ramekins. My ramekins measured 2 inch at the bottom and 3 at the top. If you want to make 1 larger portion, you might need to increase the time in the oven by 2-3 minutes. Eat these cakes straight out of the oven! If you leave them in the ramekins for long, they will continue to cook and set more than you might like. 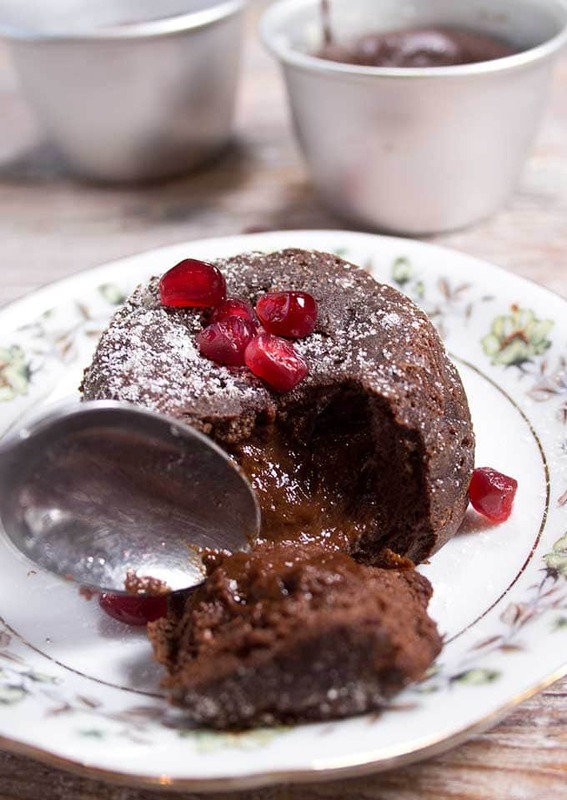 This low carb chocolate lava cake is delicious enough, gooey enough and wonderfully chocolatey enough to create a romantic moment any day of the year. I imagine it would be great with a scoop of sugar-free low carb ice cream. Heat oven to 175 Celsius/350 Fahrenheit. Grease 2 ramekins with butter. Melt the chocolate and butter and stir to combine. Beat your eggs well - best with a mixer. Add to the chocolate/butter mix together with almond flour and sweetener and stir. You'll get a dough-like consistency that is pourable. Bake 9 minutes until the top is set but still jiggly. Do not over-bake! Turnout onto plates and serve with a dusting of powdered sweetener and pomegranate seeds or a couple of raspberries. A mint leaf would round off the look nicely! Chocolate: Use the best quality you can get hold of, with a cocoa solids amount of at least 85%. I used 100% unsweetened chocolate, so added 3 1/2 tbsp sweetener. If you use 90% chocolate, 2 tbsp sweetener works well. If your chocolate already contains sweetener, adjust accordingly. If you're in the US, Lily's is always a good option. If you want to turn your cakes out, grease your ramekins REALLY WELL! If you are only after the taste, there's no stress - just serve in the ramekins. 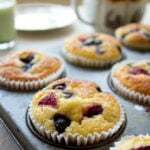 These cakes are best eaten straight out of the oven! If you leave them in the ramekins for long, they will continue to cook and set more than you might like. I love this recipe! I make it often when I need a quick chocolate fix! However today I was needing a cherry cheesecake with a chocolate cake bottom fix! This hecame a chocolate cake bottom for my cheesecake in a jar. I used this recipe but halved it and added in the egg without beating it first . I put the cheesecake batter right on top of the cake batter and cooked it in the instant pot for 12 minutes. Perfectly done!! Thanks for your yummy recipes. I’m making this dessert for a friend who is allergic to nuts, swill coconut flour work in place of almond flour? In the same quantity? Thank you so much! Can’t wait to try this! Hi Carolyn, try using half the amount of coconut flour in place of almond flour. Coconut flour is more absorbent than almond flour, that’s why you need less. Excellent!!! Made tonight & was perfect. Under 3 net carbs?!?! Halleluj. Just need to make my own low carb ice cream for next time to knock it outta park. We were also able to enjoy with just one scoop of Hagen Daaz. The lava cakes we normally buy from Trader Joe’s frozen section usually require 3+ scoops to balance out the chocolate. I’d prefer not feeling like death after dessert, which happens after those. Tonight I feel great & thrilled about uber low carb/sugar. Only change, I need to really go harder on buttering ramekins, as was recommended. Highly recommend this recipe. It’s one I’ll be making again and again and again. I’m glad you found a winner!! Can you microwave this if so how long….. I don’t think it would work in the microwave because it does not heat food the same way as an oven (=from the outside in). So you may get the same taste, but wouldn’t be able to turn it out onto a plate. 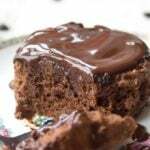 I do have a yum chocolate microwave cake though that you might want to try! – How well is “beat your eggs well”? Needs more specificity. – 175 Celsius/350 Fahrenheit fan forced or conventional? 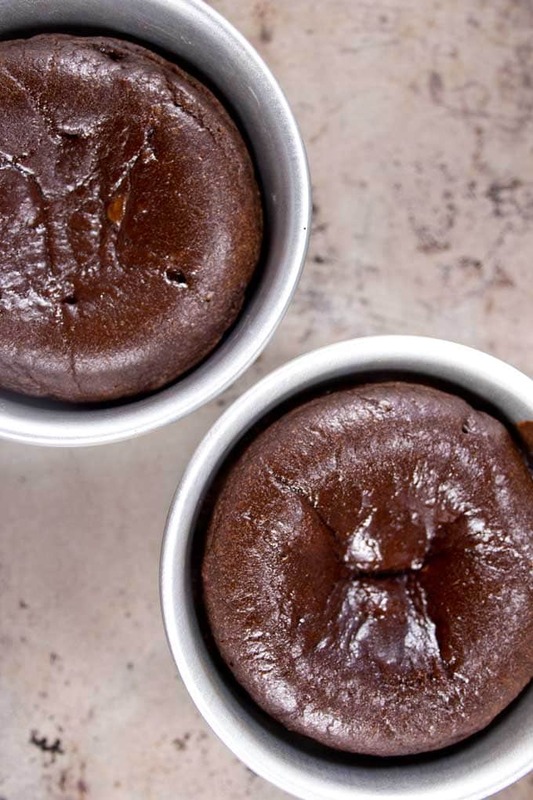 – Always butter and cocoa ramekins for chocolate lava cakes. 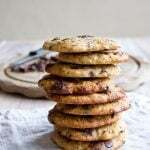 – Adding vanilla and a pinch of salt will vastly improve any chocolate dish. This recipe is lacking when it comes to instructions that are easily followed by beginners but still produces a pretty damn tasty lava cake without the sugary guilt. Hi Alex, first of all, I’m glad you like the recipe. With “beaten well” I mean frothy and totally combined. When I state oven temperatures, it’s always for conventional ovens and never for fan. I’ve never had anyone else tell me this is unclear, but it’s a good idea to add this in the future, so thanks for the tip. You’re right! Vanilla always works well in chocolate recipes. Personally, I’m not such a big fan of adding salt, but if it’s just a tiny bit I can see how it enhances taste. I’ve just made some homemade chocolate and added orange zest, which was AMAZING. Espresso could also work in this recipe. Or a spoonful of brandy. Oh, I like the idea of coating it in cocoa. I haven’t come across that – makes total sense!! These were amazing! I made them for my family, namely for my adult daughter’s birthday and I was intimidated because I’ve never made them before but she had made them years ago non-keto and we all loved them. Since then, we’ve all been eating cleaner and as sugar free as possible. Needless to say, she loved these!! I was a little worried about the fact that I didn’t have unsalted butter and I used 100% baking chocolate but I added more erythritol and some liquid stevia. 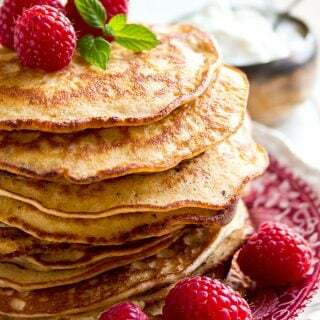 Paired these with some fresh berries and oh so good!! Thank you for this recipe! I made it for my husband’s birthday since he is doing keto. He loved it and he didn’t have to give up his birthday chocolate cake! Wonderful! I’m glad it was a success. Happy belated birthday to your husband! 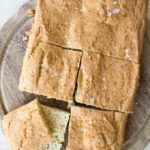 I like the idea of these cakes, as the ingredients show great promise, but I’m a little scared that I don’t cook with a scale given that two of the ingredients are in ounces…. Hi Brian, of course it’s always best to weigh your ingredients wirh a kitchen scale. But when you buy butter or a bar of chocolate the total weight should be on the packet. Just take that as a starting point and work it out from there. The cakes really are worth it!!! I had a hard time getting mine out of the ramekin. You do not suggest buttering and flouring the ramekin instead of just butter? 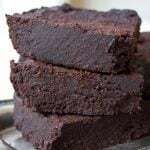 I used 1 tablespoon of coconut flour instead of almond flour, 100% unsweetened Baker’s chocolate, 1 teaspoon vanilla extract, 1 teaspoon coffee, 2 tablespoons granulated erythritol, and 1/8 teaspoon liquid stevia. Took about 11 minutes to cook. Tastes sooooo good! Thanks for the recipe! 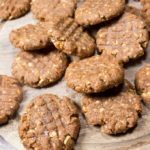 It seems the nutrition I formation is for the whole recipe and not per serving. Is this true? Cholesterol wouldn’t be that high for one serving. Made this tonight for dessert (my husband had his with a small scoop of vanilla ice cream, but yes, he cheats!). We both really enjoyed it, but next time I think I’ll bake it for 11 minutes instead of 10, reduce the sweetener 25% and add some organic vanilla extract. 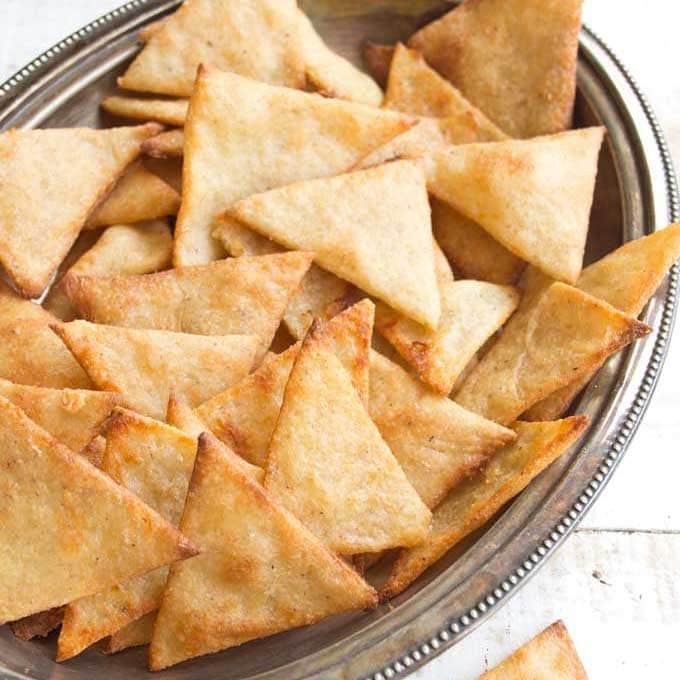 Definitely a treat for special occasions, thanks so much for the recipe! Wow, this was fantastic! Made it for an early Valentine’s dinner for my hubby and kids tonight. Even my kids, who ‘hate’ dark chocolate absolutely loved it. Thank you for sharing your recipe. This one is definitely going to be used a lot . Brilliant! It’s always the best when they “love’ something they “hate”. Ha! Fantastic. Easiest pudding I ever made – looked and turned out exactly as photographed. I am new to stevia and not sure I liked the strange flavouring of that, but will experiment a bit on the sweeteners. This desert has already made it into my perm recipe book. I’ll be making this for the next dinner party. Great news! Sometimes it takes a bit of trying out to find the sweetener you like the most. Stevia can taste a bit metallic. Did you use powdered stevia or the drops? Maybe you would prefer the powdered erythritol. It is my favourite sweetener. Thanks for the tip! I am making this recipe as a flat cake for a dinner party tonight (13 minutes!) 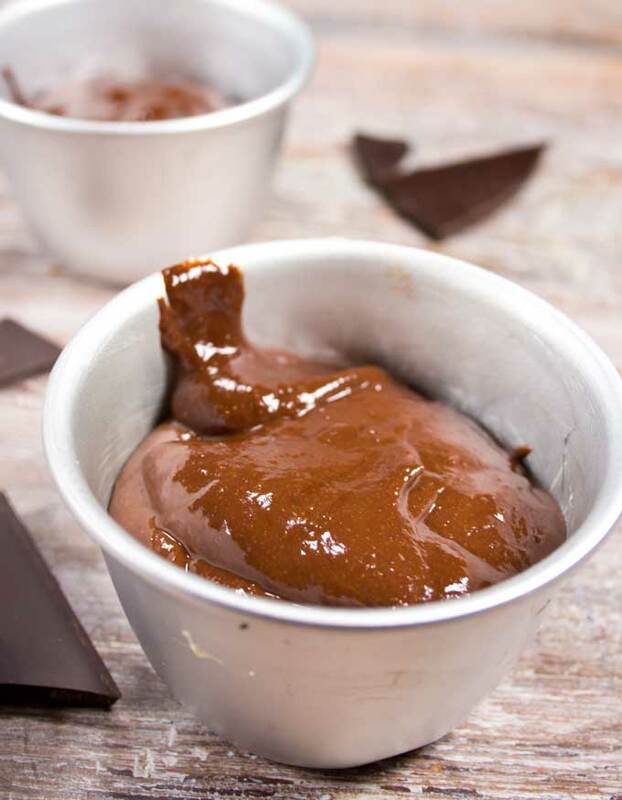 and look forward to trying this week’s amazing recipe for the avocado choc ice cream Please keep posting – the world needs your sugar free love! Can you use a silicone mold to make these cakes? I believe you can! There’s a silicone mould on Amazon US right here – a bit pricey, but specifically for lava cakes! Amazing taste!!!! Unfortunately my cakes fell apart when I tried to peel them out of the pots. Next time I’ll have to use more butter so they don’t stick. Don’t miss out this step! I used the 90% chocolate and it worked a treat. That’s the one thing I found as well so thought I had to share with you all despite sounding like a bit of a school teacher. You could even pour a tiny bit of melted butter into the base of the ramekin so it DEFINITELY does not stick to the bottom. The sides are always easy to work on with a knife. Glad they were a success taste-wise! I sprayed the ramekins with Pam and they came right out. Have you tried making this with stevia drops? I used one larger ramekin to make this recipe and left it in for 13 minutes. It came out perfect – nice and gooey in the centre! That’s good to know Marigold, thank you for sharing. I’m happy your cake was a success! Delicious. Chocolate desserts never get boring! I second that 100 percent!! Looks and sounds delicious, and easy to make too! Can I use cocoa powder instead?